The Gemological Institute of America has recently published the results of Florida Atlantic University study. The Harbor Branch Oceanographic Institute has developed techniques that allow for successful cultivation of beaded and non-beaded cultured pearls from the queen conch. Until now, all attempts have been fruitless (or rather pearl-less), leaving the beauty of conch pearls unavailable to many. 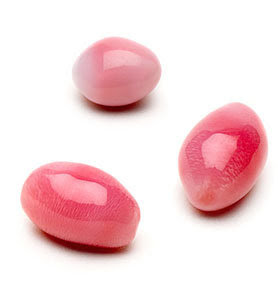 The natural conch pearls, especially those with candy-like pink coloration and a beautiful flame pattern, had a very limited availability in the jewelry market. The GIA Laboratory has examined more than 200 of the new cultured conch pearls and concluded that they were identical in properties to the natural conch pearls. 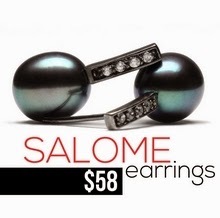 As in freshwater pearls, cultured conch pearls can be spherical, oval, elongated, or free-form. They come in a wide range of colors: white, "cream," yellow, brown, pink, and red, with more than 10% showing good luster and the flame pattern. Source: Wang W., K. Scarratt K., H. Acosta-Salmón, and M. Davis (2009): “Queen Conch Cultured Pearls: A New Gem”, Gems & Gemology eBrief, 1(2).